Back in September 1995, we hosted a tremendous Magic: The Gathering battle "Tournament of Professionals"
and we thank all who dueled. But now "The Conference of the Professionals" is upon us. In an attempt to create a balanced but creative dueling field for this event, we boldly introduce The Limited List. Use your scroll pad to see it below. My power is as vast as the plains, my strength is that of mountains. Each wave that crashes upon the shore thunders like blood in my veins." Your deck must be at least 60 cards, with a 15 card sideboard. Only spells crafted from Alpha to Ice Age are legal. You shall duel with "modern rules" with respect to our wish to reinstate "mana burn" and "damage stacking". 1, Tap: Choose a nontoken permanent on the battlefield. If Chaos Orb is on the battlefield, flip Chaos Orb onto the battlefield from a height of at least one foot. If Chaos Orb turns over completely at least once during the flip, and touches the chosen permanent, destroy that permanent. Then destroy Chaos Orb. And Aladdin's Lamp shall cost a total of 10 mana. NO MERCY FOR FALSE DUELERS. I'm rockin' Sui-Bluey - surprise, surprise, no Workshops. Hope you see there! This sounds really cool. If I didn't live ~1500 miles away, I'd definitely be there. Char? Char you! I like the play. I swear I'll burn the city down to show you the light. Per strip_miner, there were 19 competitors, and Roland Chang went undefeated with UB suicide aggro. JR Goldman and Jimmy McCarthy both played Lich.dec, with Jimmy landing in 6th place with the deck. That sounds pretty sweet, any chance there will be an EC article? The event was a blast and congrats to Roland Chang on the win. We have video coverage of 6 feature matches which we are currently editing (similar to the style of the videos on www.landlotusjuzam.net) and those will be uploaded with commentary soon. The Lich deck was definitely the stand out and showed the true power of not only the "limited list" but our inclusion of Ice Age in the format. Hats off to JR and Jimmy for their innovation with that. We are turning this tournament into a monthly series - stay tuned for updates on that! I will see what we can get from Evan and whoever else was responsible for organizing it, and maybe we can do a post with decklists and videos and so forth. I am guessing it was some combination of Lich, Fastbond and Zuran Orb? It was a combination of Lich, Fastbond, Zuran Orb, Dark Heart of the Wood, Glacial Chasm, Mirror Universe and Time Walk. There was a game where the Lich pilot was was stripped of his Mirror Universes after being Jester's Capped, but then was actually able to Braingeyser his opponent for for 40+ to win the game. Maybe strip_miner can contribute his report as well for EC. Thanks guys! This tournament was awesome and one of the best events I've been to since coming back to the game. In terms of prize support, organization, coverage, and attendees, it surely held its own and brought joy to everyone playing. Even last place received a Sewers of Estark! I really want to get in on this format, seems awesome. Here's the first official tournament report, Derek Gallen with UR Burn. 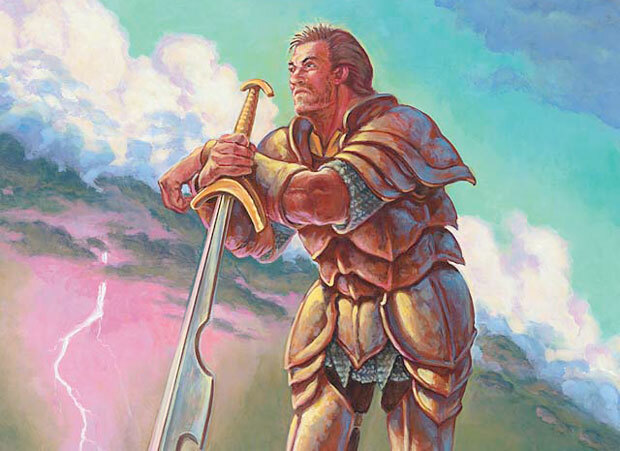 Does anyone have recommendations of different deck lists or archetypes I should try in Old School Magic? I'd like to play grindy control/prison style decks. I mostly play Landstill in Vintage and like to dabble with Shops. Feel free to PM me, thanks!